6 AMAZING Celebrity Braids You Can Try - A Step By Step Guide! 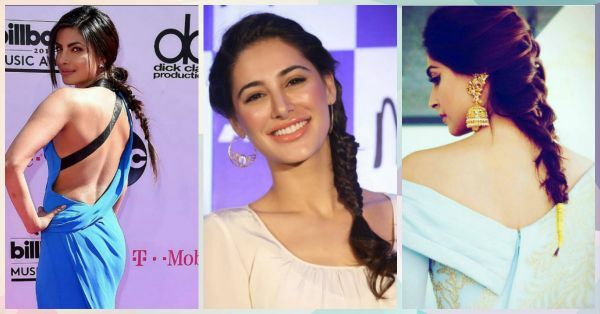 If you’ve often admired the stylish braids of your favourite Bollywood celebs but have no idea how to try them yourself, this is the list for you! We tell you how to emulate the glamorous looks of your favourite heroines - plus they’re easier than you think! These hairstyles are perfect for the summers or when you’re having a bad hair day or when you simply don’t want to leave your locks open! 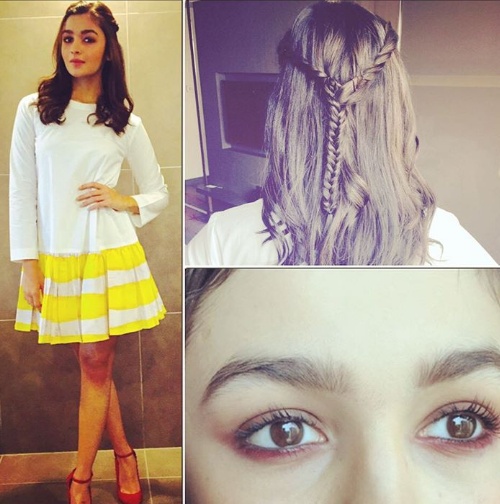 Read on to know how you can recreate these super chic braids of your favourite celebrities. Image: Bollywoodpagal On Instagram Difficulty Level: 3/5 For a hairstyle that looks elaborate and feels so neat and clean, we recommend a fishtail braid. This is perfect for people who have long hair. Begin by combing your hair back (no parting) and dividing it into two sections. From the outer edge of the left section, separate another small section (no thicker than half an inch) and pull it across towards the right section. Tuck it under the right section. Repeat this on the other side by taking another small section from the right section and tucking it under the left side. Make sure to tug at the strands to tighten your braid and continue till the end. Wrap a hair tie tightly around the end and proceed to wow people with your fishtail braid. Image: Bollywoodstylefiles On Instagram Difficulty Level: 3.5/5 We’ve all been dazzled by Sonam Kapoor’s flawless Cannes look. Well, you too can now do up your hair like her! Start by taking a section of your hair from the top of your head. Divide it into three sub-sections and cross the right one over the middle and then the left one over the middle (as you do in a basic braid). Do this a couple of times. Then, from the left side of your head, take another section of hair and include that in the crossover. After that, take a section from the right side and include that in the crossover. Continue incorporating a new, thin section as you cross over like this till you reach the end. Tie a thin black elastic at the end. 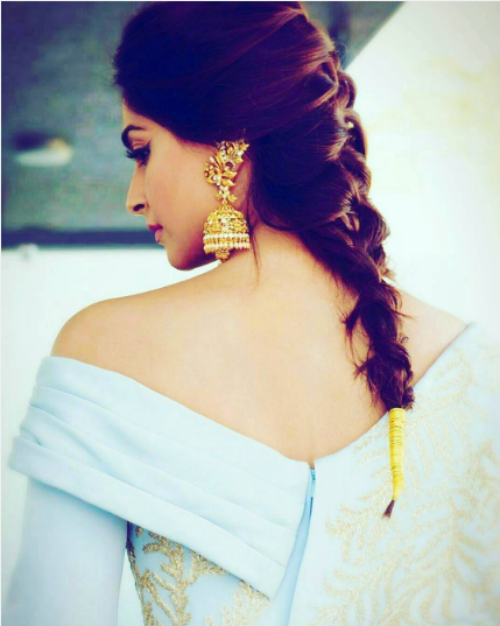 Then, to achieve Sonam’s glamorous finish, take a thick golden thread (or even some craft wire) and wrap it tightly and neatly around the end. Image: Deepika Padukone On Instagram Difficulty Level: 1/5 Another hairstyle that’s so easy to do and can make you look like a million bucks! This one is perfect for people who have curly or wavy hair. If you have straight hair, you can curl it before you begin this. For this look, take a thin section of your hair from the left side and braid it. Pin it back for a stylish side-sweep and leave the rest of your hair open.